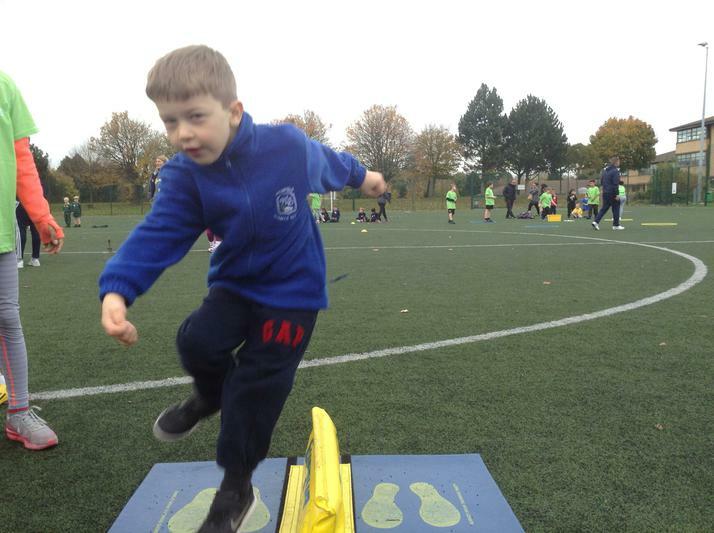 Physical activity develops pupils’ fundamental motor skills that enables them to develop physical competence and confidence and their ability to use these to perform in a range of activities. 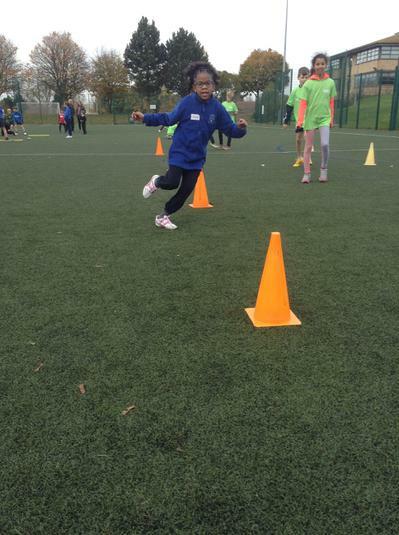 Physical activity provides opportunities for pupils to be creative, competitive and to face up to different challenges as individuals and in groups. 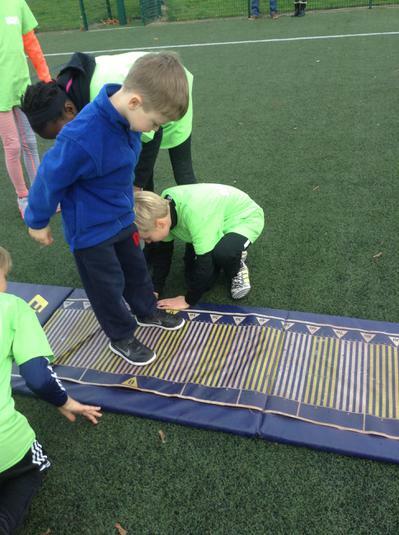 It promotes positive attitudes towards active and healthy lifestyles and helps children understand the importance of exercising for a lifetime. 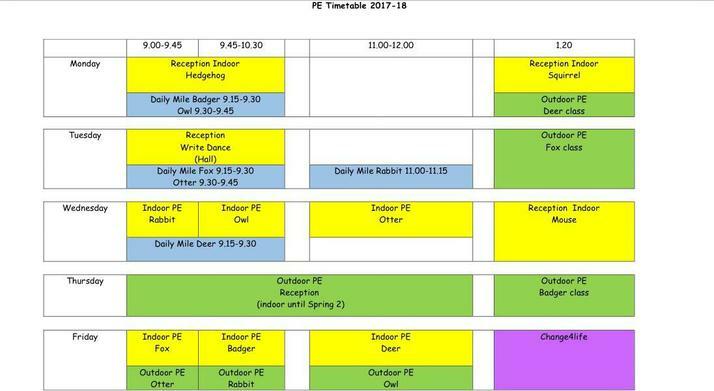 When is my child's PE lesson? 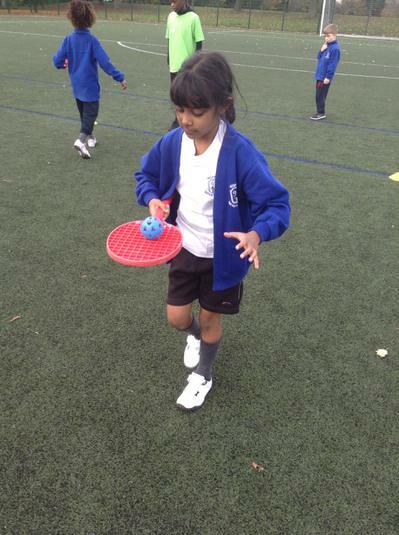 On Friday 23rd March the children enjoyed dressing up as their sporting heroes. We saw a range of sporting personalities from Andy Murray to Darcie Bussell! 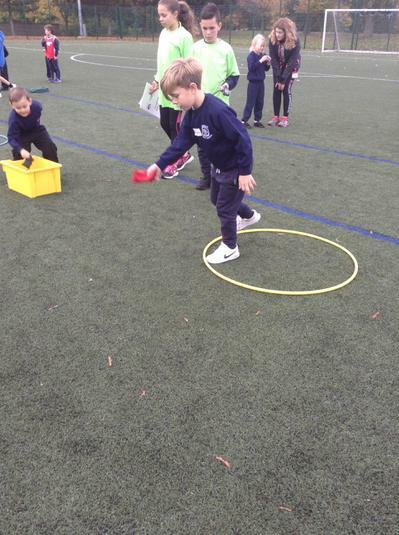 Everyone took part in a variety of activities including; 5 a day, the over and under relay race and the challenging 'hula hoop pass'. Thank you to everyone who donated. Together we raised £149 for Sport Relief! 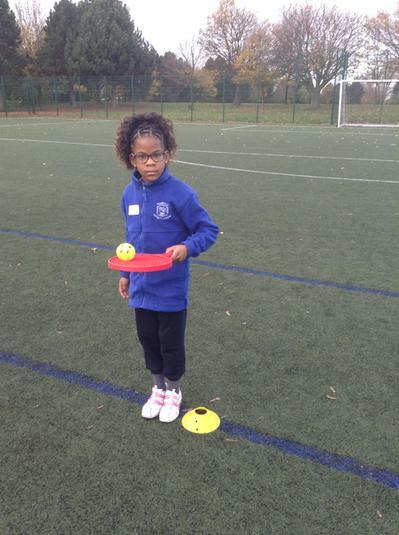 On Tuesday 1st November seven Year 1 and Year 2 children represented Highfield Infants at the annual Multi-skills festival held at Harris Orpington. 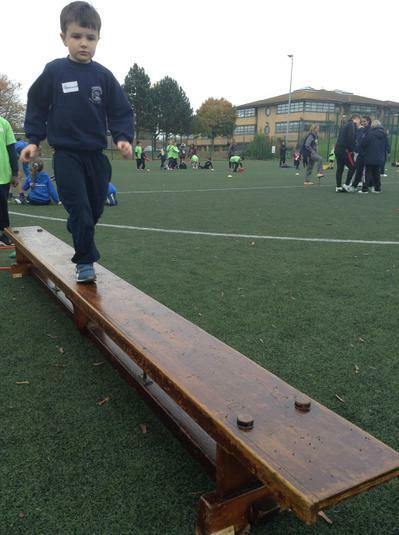 Over 80 children attended from schools across the whole of Bromley Borough and participated in a range of activities. 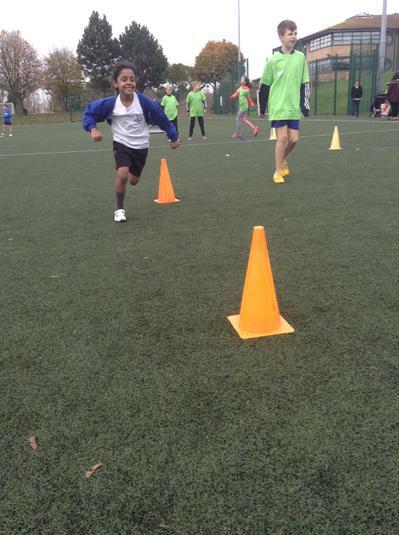 Highfield were extremely successful winning 3 of the 10 events. Congratulations also to Oliver (Badger), Emma and Thomas M (Otter), Arthur D (Rabbit) who represented the school so well. 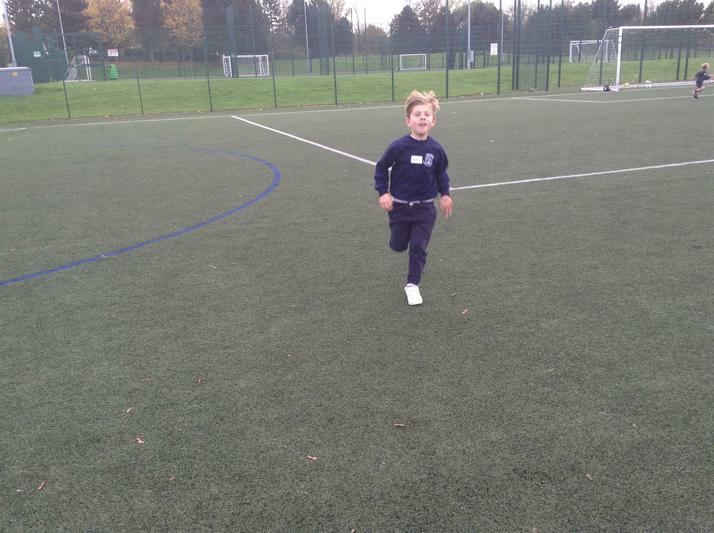 In October Year 2 took part in their first cross country event of the year. 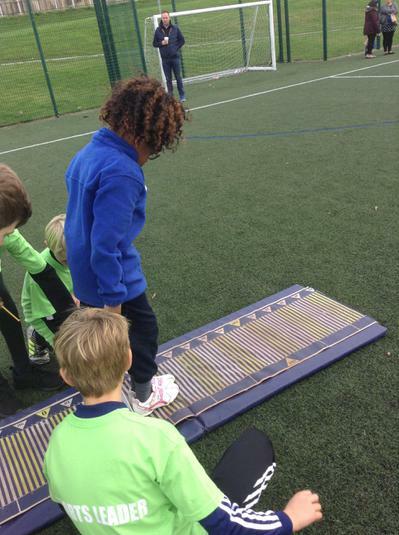 This was held on the Junior school field where Mr Ayres, the Junior school PE lead, made sure all of the children were warmed up before they started the event. 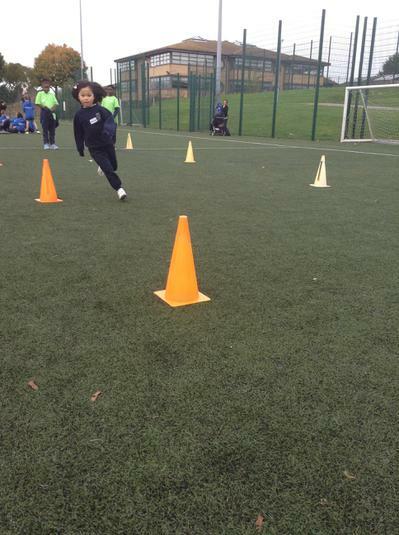 Every child completed the course and they all ran very well. 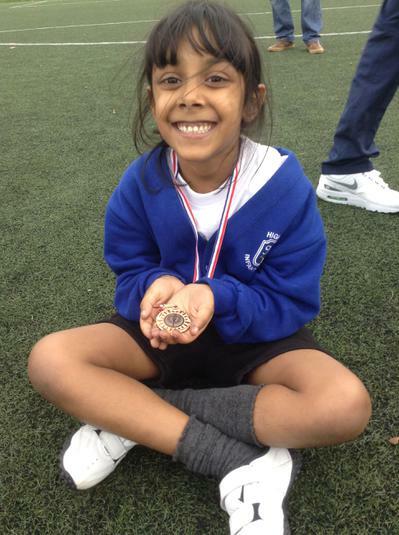 Points were awarded for their intra sports team. Congratulations to Ellie Simmonds team (red) who came first, followed by Tom Daley (green), Jessica Ennis-hill (black), Mo Farah (yellow) and Greg Rutherford (blue). The next cross-country event will take place before Christmas. 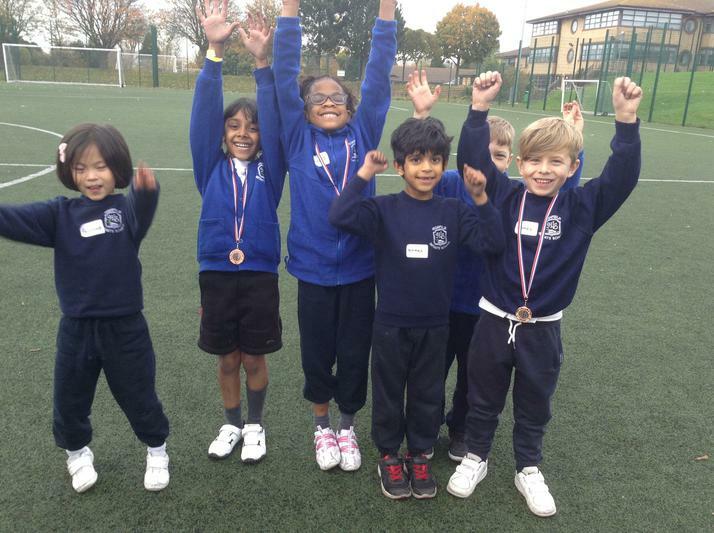 On Tuesday 26th September Highfield Infants' sent a team to Bromley FC to take part in the Bromley Key Stage 1 Football Festival. The team played brilliantly and did not lose a single match, coming in second place (due to goal difference) out of all the Bromley schools. Congratulations to Lola, Nate, Zachary, Jingye (Fox class), Dino, Alex, Matis, Levi (Badger) and Tobias (Deer) who represented the school so well. 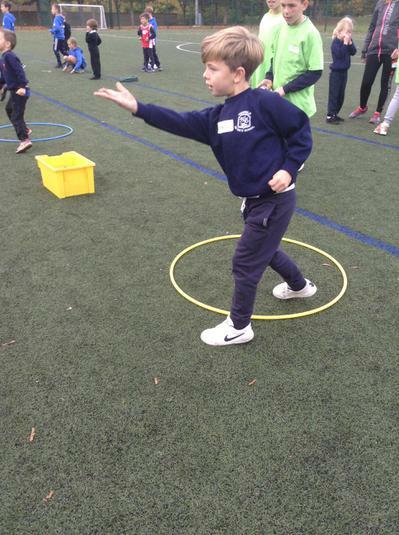 On 3rd May seven Year 1 and 2 children represented Highfield Infants’ school at the annual Bromley schools Multi-skills sports festival at The Harris Academy Orpington. 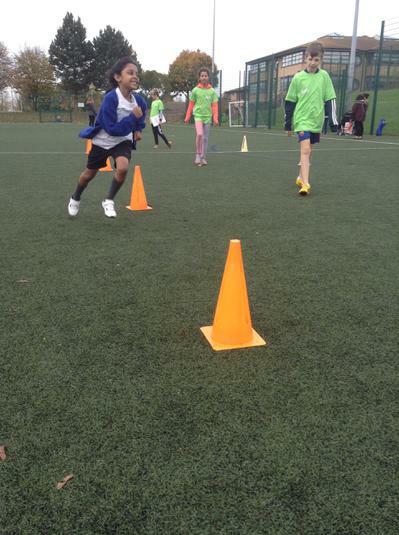 With over 100 children attending from all schools across Bromley Borough, and with the weather against us, the Highfield Infants’ team showed great confidence, determination and respect. 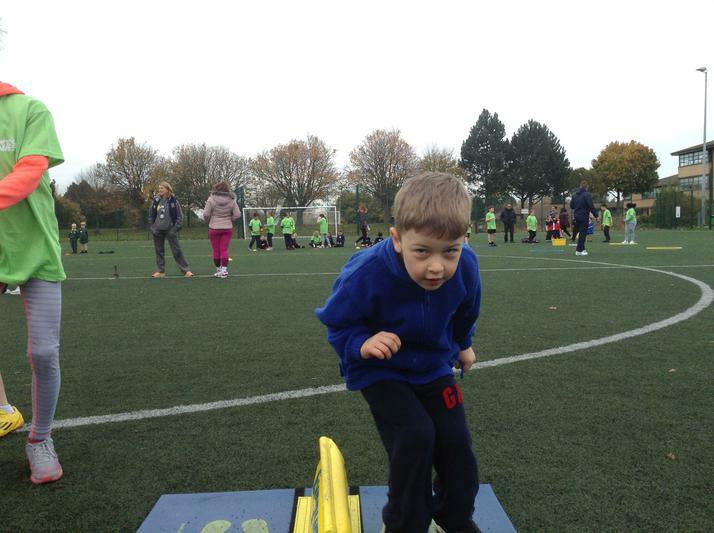 Every child put in great performances and completed multi-skills activities including; an obstacle race, speed bounce, standing long jump and throwing. Well done to all the children who represented Highfield Infants’ and all did so well; Evan (Badger), Connie (Fox), Thea and Troy (Deer), Jasmine (Otter) and Charlotte and Matis (Owl). 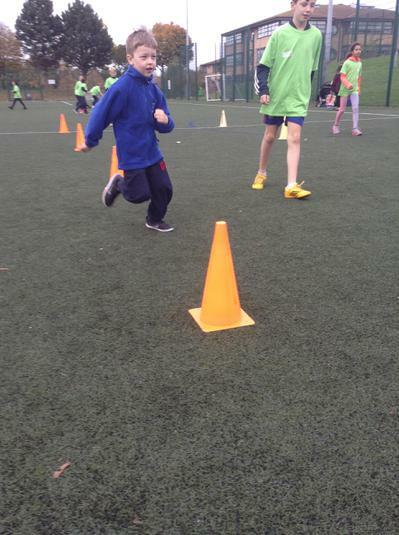 Year 2 were invited to take part in the Highfield Junior's inaugural cross country event, which took place on the school field. 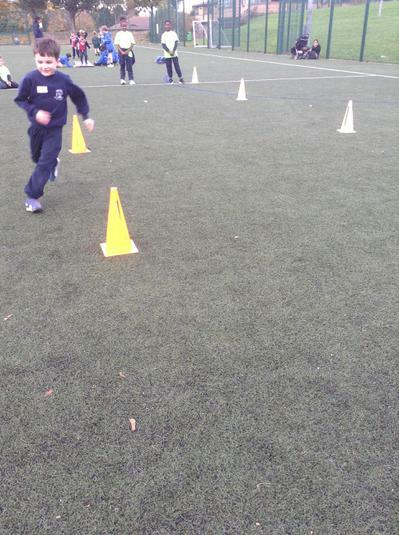 All children completed the course and enjoyed the challenge of their first school cross country event. The children collected intra-competition points for their respective sports team and Mr Ayres from the Junior school made a special announcement of the winners, Jessica Ennis-Hill (black) team in our merit assembly. On Friday 6th May Kent County Cricket club visited the school. The whole school took part in the ‘Spirit of Cricket’ assembly where we talked about the values of the game and how they linked with our own school values. We were also fortunate enough to meet two cricketers; Adam Riley and Adam Bell who answered questions on all things related to cricket. Sixty Year Two children took part in a cricket training session with the players which included playing cricket games, bowling and batting. All the children really enjoyed the experience and finished the session with a photo and signed team poster. or contact Mrs Ellis via the school office. 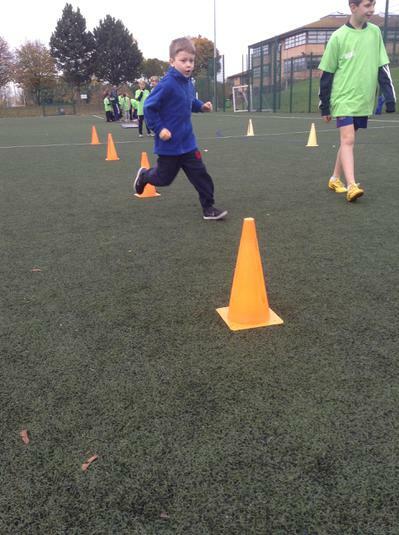 On Monday 21st March six Year One children took part in the inaugural Easter Bunny Run in Orpington. With their bunny ears at the ready the children ran the half mile cross country course with 11 other schools from across Bromley. Well done to all the children that took part in the event and represented Highfield Infants’ so well; Paige, Ruby and Jake (Otter), Eniola and Noah (Rabbit) and Harry (Owl). 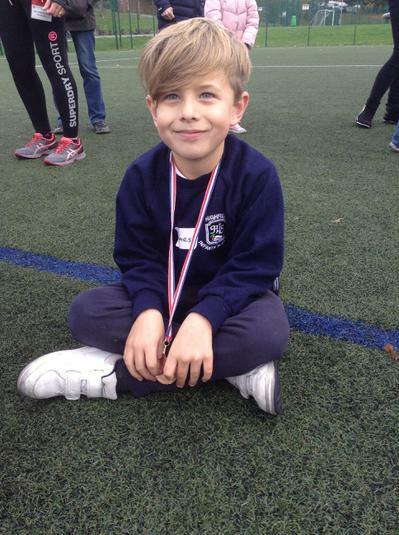 An extra congratulations to Jake who was awarded a special prize for showing great determination in completing the course. The next sport’s festival is due to take place in June. More information to follow.